As promised, Tom with his friend Karl picked me up in the morning of THE Field Day. 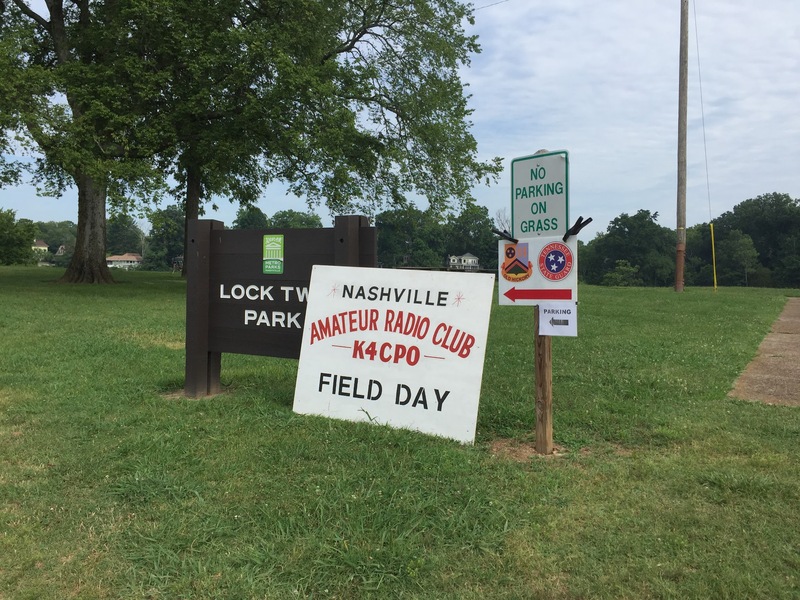 We headed straight to the Nashville Amateur Radio Club’s field day location. About 9 in the morning and some 4 or 5 stations setup. I also met some of the VE Team good guys who helped me earlier with the tech exams. After some competition with Karl and Tom over the foot long SUBs and loads of coke in the hot afternoon we moved over to the other location in Franklin. No pictures here as the second event was hosted by the local 911 emergency response team at their communications center. World class secure facility. A lot of different equipment for newbies, Large displays for contest updates for field operators, and lots of fun. This was mostly a quite place run by some serious operators. All in all Great fun!